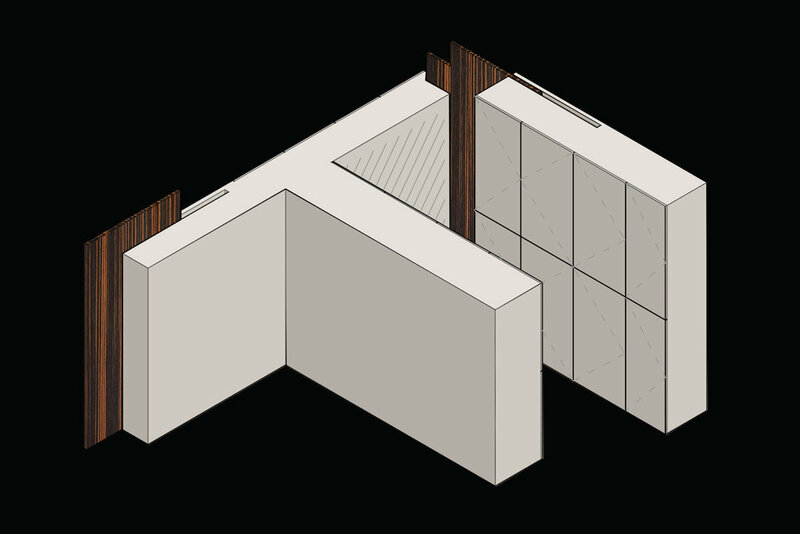 a residence where walls don't exist, storage volumes separate space, and large odd-shaped doors provide access. In a small Queens apartment, subdivided by thin walls into unusable spaces, adding storage seemed an impossible feat. By eliminating all typical walls, we were able to recapture that volume as storage. Custom millwork separates volumes, but doesn’t touch the ceiling, leaving a glazed clerestory to allow light between spaces and a visual connection to spaces beyond. 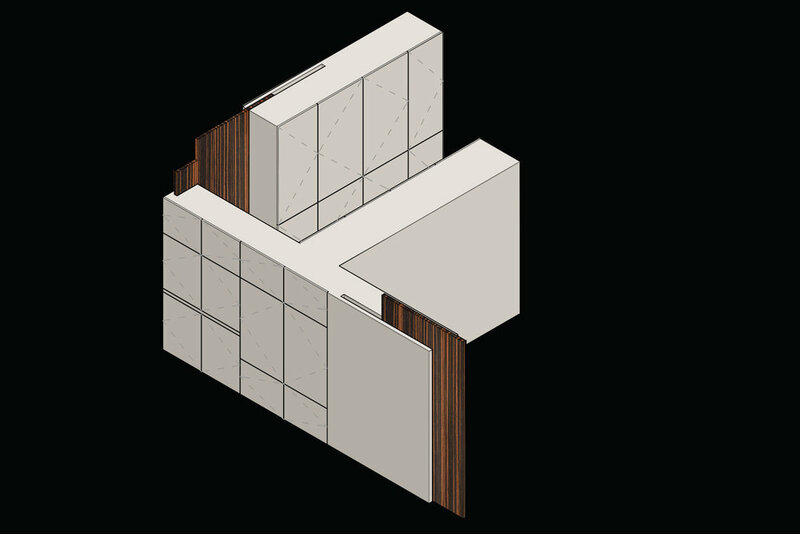 Each millwork unit is accessed from all sides - allowing maximum flexibility in usage. Doors are clad with ebony veneer, contrasting with the painted white finish of the millwork. Each door is only connected to the millwork, not the perimeter walls. When the full-height pocket doors are closed, they are still visible in the clerestory.